Henry David Thoreau, author of Walden, also known as Life in the Woods, is known for his 26 month return to the land, and is an inspiration for the modern environmentalist. He also known for being against the free market and capitalism, and the Industrial Revolution, which was just beginning to change the world. He says that he went to Walden pond to be self-sufficient, and live off the land. However, did Thoreau dependent upon the division of labor for the 26 months he lived there? First, he mentions that he received seed and tools from others. If that isn’t the division of labor, I don’t know what is. He also spent money for building materials for his “humble” cabin, which again is relying upon the division of labor, which he claimed to despise. He was also a squatter; he lived on land that was not his. Ironically he spent the rest of his life depending on the division of labor, and he had a business making pencils, and he lived in luxury in his mother’s home while he wrote a book about how much he hated luxury and the division of labor! So much for Thoreau’s attack on the division of labor and the free market economy. The Washington Monument Syndrome. 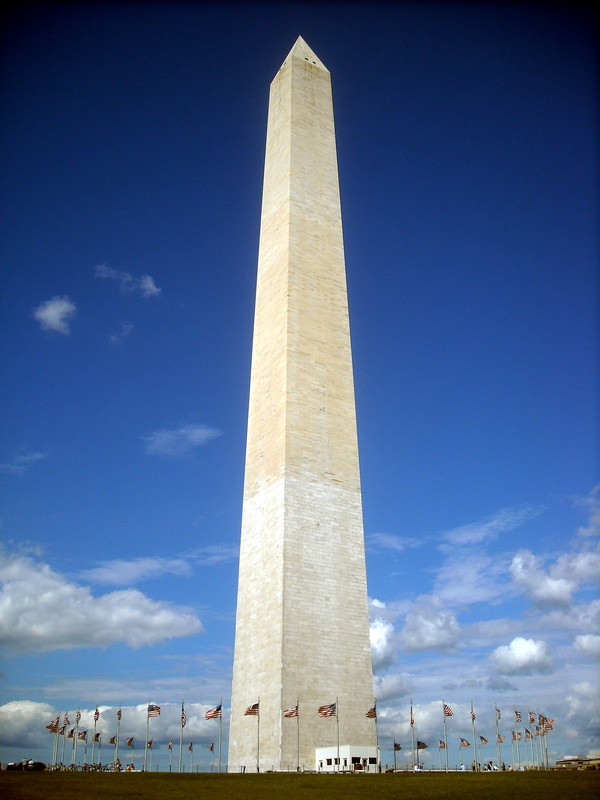 So named after a certain proposed budget cut, when an affected bureaucracy decided to cut the most noticeable thing from their budget, in that instance being the Washington Monument. It happens repeatedly; someone proposes to cut the budget, and instead of firing a few employees, or reducing pay, or even better, being careful about their spending, they immediately go for the thing that would be most noticeable, the one or more things that would cause public outrage. Another example was the late government shutdown, when the bureaucracy shut down all federal parks. It did exactly what the bureaucrats wanted all along; the public demanded that the half of the government that was affected be brought back online. This was only hastened as stories of cancelled weddings, scheduled in federal parks, flooded the media during the shutdown. This is the whole goal of a bureaucracy whenever the Washington Monument Syndrome comes into affect; to cut what will be most needed or most missed by the public in order to excite public outrage, which is never aimed at the bureaucracy who made the cuts. It’s always aimed at those who are trying to cut the budget, and the budget cut ends up in a trash pail somewhere. The budget is never cut, but increasingly expanded. How can we “cure” this Syndrome? First, we might just remove the bureaucracies involved altogether, and sell the monuments and all federal parks to private owners, or whatever happens to be managed by that particular group of bureaucrats. This would most certainly solve the problem. Second, we could determine what would get cut when we cut a budget, instead of leaving it up to the sly bureaucrats to do it themselves, since they’re naturally bound to cut what hurts the public most; what the public will miss the most. Those and possibly many other methods could be undertaken to forever eradicate the cancer that is killing the land of the free. First, lets talk about what the Gothic style replaced; the Romanesque Style. As cathedrals began to be built all around the Medieval world, builders moved away from wood as a building material due to the fear of fire, and decided to instead use stone. Unfortunately, stone is very heavy, and to use it for roofing meant that the walls had to be extremely thick in order to support the weight. This meant that windows were also to be kept at the minimum, seeing that that would weaken the walls and possibly make the structure collapse. 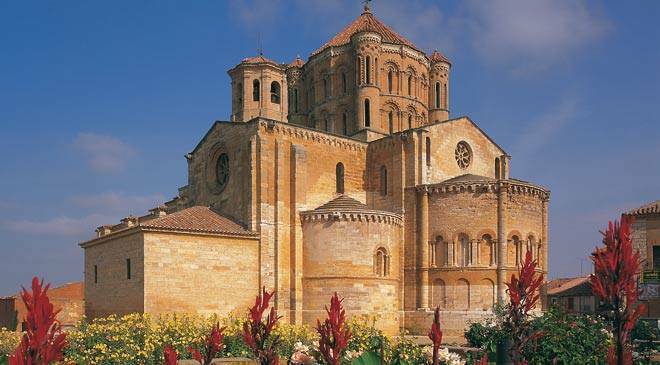 A Cathedral of the Romanesque Style. Note the absence of windows and the massive construction. 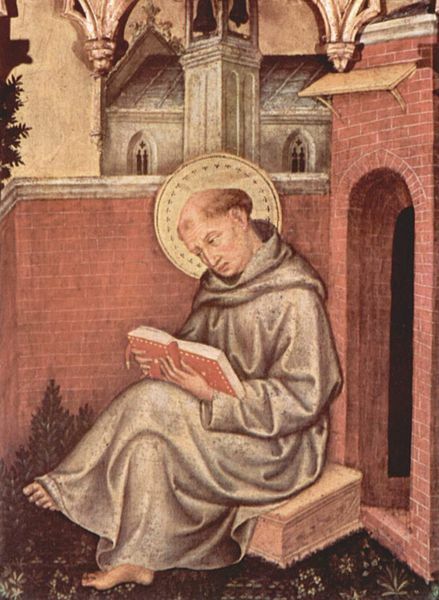 However, there was a whole new style of thought that began to enter into the Medieval World, largely due to the Scholastic thinkers of their day. 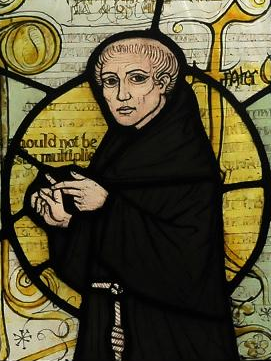 The Scholastics began to look at mathematics as being the closest way to get to God and the way he thinks and operates, due to the fact that literally everything you looked at in the Creation, such as flowers and other plants, animals, people, and such random looking things as trees were filled with mathematical patterns. Symmetry being directly related to God being a God of order, these Scholastics began to study Geometry in order to more fully grasp the orderliness of God. Builders of their era too began to pick up this theme, and in came the Gothic Cathedrals. This Gothic Cathedral is able to have many more windows than a Cathedral of the Romanesque Style due to its flying buttresses. These structures, though built of stone and other heavy materials, had thin walls and many windows, thanks to the flying buttress. The flying buttress (pictured on the right) took the weight of the heavy roof and took it to structures outside the building. This means that less building material is needed, and many more windows, many of them stained glass, can be added. Inside the cathedrals the supporting columns were placed at exact intervals with perfect symmetry. A Gothic Cathedral’s shape resembles a cross, and the top part of the cross always faces to the East. This was an Early Church practice, due to the Scriptures telling us that he will return facing West. So, Gothic Cathedrals have a few basic improvements on the older Romanesque Style. 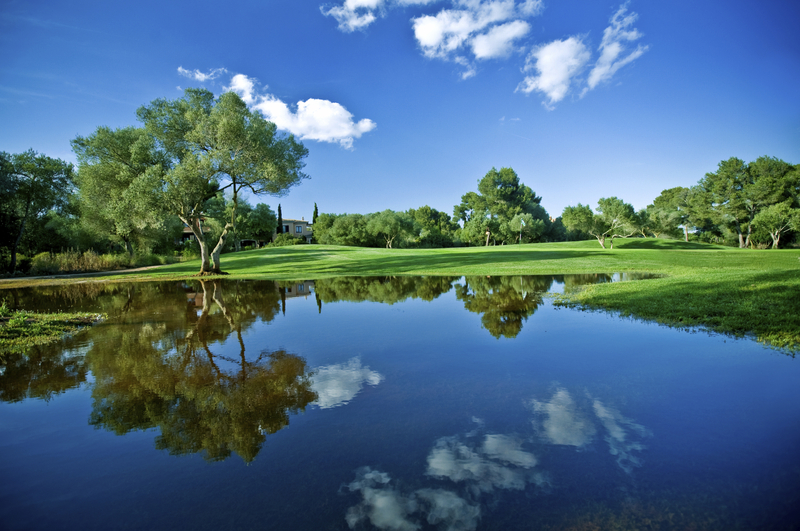 First, its symmetry, which reflects the orderliness of God. Second, the Gothic Style incorporated as much light into the structure as possible. 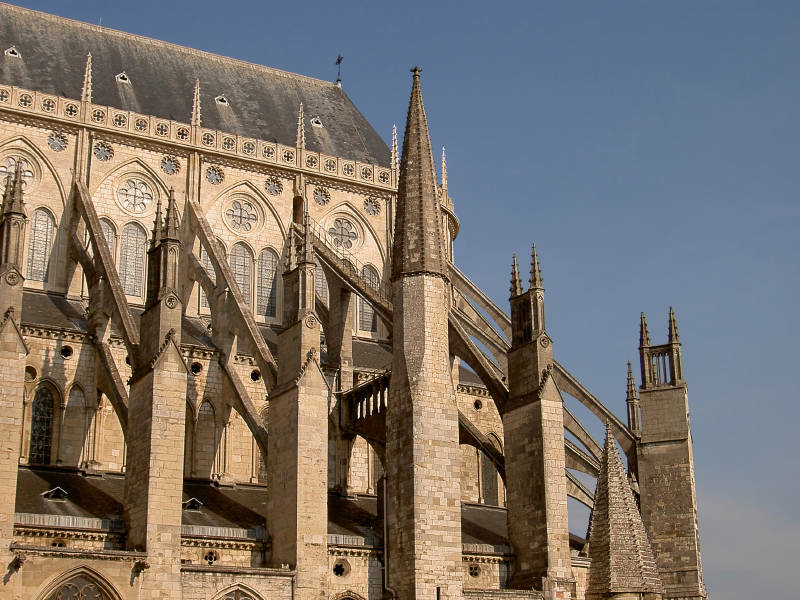 Third, and to make the second improvement possible, the flying buttress, which enabled the weight of the structure to be taken off the main walls of the Cathedral and placed onto outside structures. Fourth, all Gothic Cathedrals are shaped in a cross, and the top of that cross is facing East, in remembrance of the Lord’s return. These and some other features were a main feature of the Medieval Ages, and continue to impress tourists to this day. There are many poisonous arthropods, such as spiders, the Emperor Scorpion (pictured), as well as other scorpion species, and certain insects. Each of these uses venom in some way; to capture prey, or to escape from danger. Scorpions use their venom for both purposes, but their venom is interesting; it isn’t just one kind of toxin or poison; its a whole cocktail of enzymes, enzyme inhibitors, toxins, and poisons, all mixed together. This enables scorpions to tackle nearly any kind of prey. But, of more interest to human beings, is the fact that some of these toxins and enzyme inhibitors are showing promising signs for use in medicine and other uses. 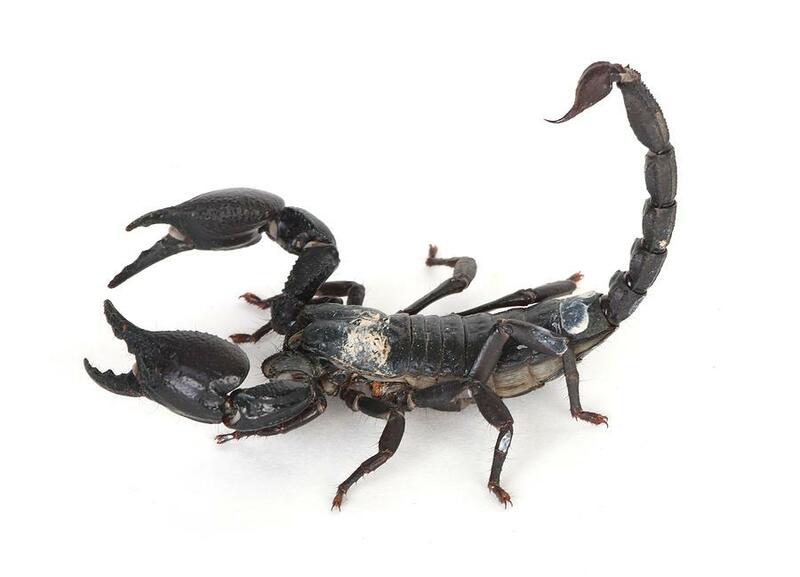 For instance, one scorpion bears a toxin in its venom that specifically targets tumors and cancers. Injecting some of this toxin into a cancer victim would eliminate the cancer but leave the victim unharmed. Certain enzymes in various scorpion venom target specific substances that are not found in humans. These enzymes could be used as disinfectants to kill bacteria that contain this substance but leave the humans using the enzyme untouched. These, other discoveries and potentially future discoveries, made possible by recent tech gear and equipment, sitting just under our noses for thousands of years, could change the world as we know it forever. The War on Drugs, made official by President Nixon in 1971, has continued on to this day. But, at what cost to American liberty? And, should we as Christians support this war? First, the cost to American freedom. Ever since the War on Drugs began the police and the government have become more and more involved in our lives. The search power of police has been increasingly more and more abused over the years. Also, the corruption among the police has increased as well, as police departments all over the country have incorporated money confiscated from drug addicts and drug gangs into their budgets. And, since they need the money, drug gangs can pay the police for protection from competition. The CIA was recently exposed to have received money and intelligence from a particular drug cartel in exchange for protection by U.S. forces. 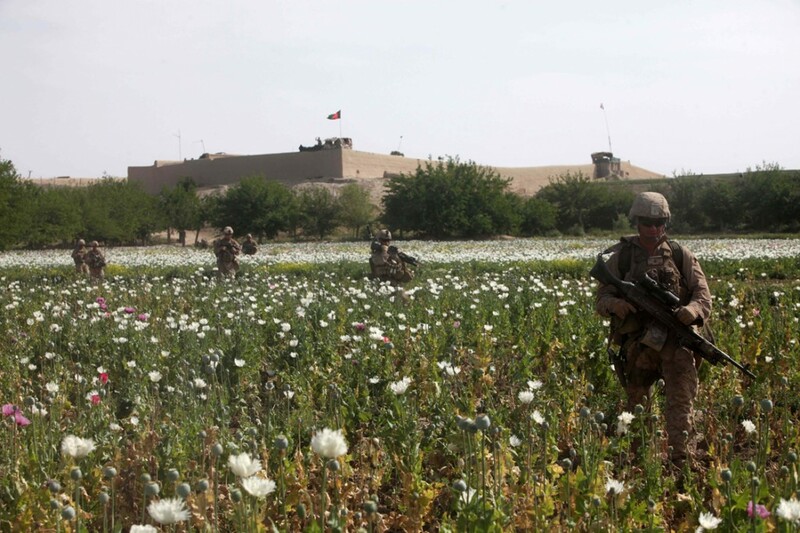 Many U.S. soldiers in Afghanistan have come back with the intelligence that our soldiers are protecting poppy fields, and this statement has been verified by statistics which show that heroin production in Afghanistan has increased 500x since the U.S. invasion. Coincidence? I think not. Just think… what would happen if the police stopped prosecuting victimless crimes (as in there being no one hurt or affected except the offender) and went after real criminals, such as robbers, murderers, and the like? (The U.S. Government has even admitted that most murderers and thieves get away repeatedly from crimes.) First, we would see the price of illegal drugs plummet, since the risk of being caught is no longer there. This would do several things; (1) remove the incentive to kill and destroy to smuggle drugs around, (2) families would have much more money to spend, making society richer (3) the police would no longer have the incentive to protect big drug dealers from competition. Second, the police state that has formed in order to execute justice on drug offenders would no longer be necessary. This means that the rights of the individual would no longer be infringed unnecessarily and unlawfully by the government and police. Third, people would stop taking legal drugs, which are at least 10x more dangerous than illegal drugs, and go to a less risky alternative, such as marijuana. Now, should Christians support the War on Drugs? Yes, we as Christians should strongly avoid drugs of any kind, legal or non-legal, for fear of an addiction. We are to be in control of our bodies so that we can yield that control to Jesus. However, I have several reasons against those supporting prohibition. First, we need to understand what government is for. “For he is the minister of God to thee for good. But if thou do that which is evil, be afraid; for he beareth not the sword in vain: for he is the minister of God, a revenger to execute wrath upon him that doeth evil.” (Romans 13:4 KJV) So, we know that government is for evil doers (i.e. murderers, thieves). The only crime most drug offenders commit is taking the drug, and harming themselves. They typically do not harm anyone else. Since the only biblical function of government is to “execute wrath upon him that doeth evil”, we know that we cannot just make anything a crime. Second, we should beware using Government to achieve our means. We as Christians should be very fearful in wielding the sword that the State bears. It has been used successfully by the enemy to slay millions of believers and unbelievers in the past, and it is most likely going to continue. When we give the State the power to search peoples homes and other property for drugs, we’re giving them the ability to do that to us in the future. Instead of building our own scaffold, we should seek to dismantle the State’s ability to rob, kill, and destroy, and use merely its Romans 13 function of administering justice upon evil doers. This third point and last point is very similar to my second. We cannot use the State to legislate morality. Christ told us how we are to change people, and that, surprisingly enough, is through the gospel. We cannot expect to change people using mammon or any other worldly means. For instance, drug abuse amongst high school students is steadily increasing despite the law system and the police state in place. When people have a desire for something, no matter what it is, they’re going to find a way to get it, and they are only going to be driven to commit crime after crime to do so. Instead of seeking to shackle the outer man, we must seek to reach the inner man with the gospel of Jesus Christ, and change the natural desire found there to do evil. Then, and only then, can we truly end the War on Drugs. Today there seems to be talk of global warming and other environmental changes. We hear horror stories about carbon emissions, and that human beings are the cause of the world’s problems. Even if all the stories are true, I want to see if there is a way that humans can in fact fix the problems… and, even better, without any government involvement at all. First lets start with a completely free economy; there is no involvement from the government, it is just producers and consumers. Lets say that, as competition between thousands of businesses forces prices down, and competition between employers seeking workers naturally drives up wages, the average person has more money to spend on various goods and services. As usual, companies want to sell you stuff, and as much of it as possible, so they will try to find a way to market to you. One way they could, and do, do that, is by selling environment friendly cars, cleaners, and thousands of other products to the consumers. Prices for these items will go down as the competition between companies and their environmentally safe items gets more and more fierce.